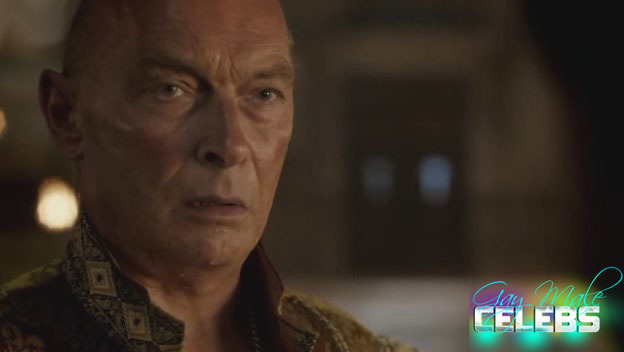 This English actor James Faulkner had a noticeable role in the “Da Vinci’s Demons” as a pope. In the scene, we have he is holding a hot young boy in his arms in the water forcing him to tell him something but he gets interrupted. When he is coming out of the water you have a small window to pause at the right moment and see his old pecker.